Incredible Himachal Holidays a part of Evergreen Himachal Tour Travels Shimla offers customized travel packages for Shimla from Delhi/Chandigarh/Kalka/Chennai/Bangalore/Hyderabad/Mumbai as per requirement. Shimla is 270 kms from Delhi/ 120 kms from Chandigarh and 90 kms from Kalka. Our all inclusive Shimla packages include pickup and drop by exclusive car, stay in budget/luxury hotel resort cottages and homestay in shimla with Breakfast and dinner and full sight seeing as per package. The packages includes all taxes, parking, toll and driver allowance. There are no hidden charges. Nestled at an altitude of 2,159 meters above sea level, Shimla - The capital city of Himachal Pradesh, Shimla is a quaint little hill station nestled in the Shivalikhills. It was discovered by the British for a perfect escape from the scorching heat of the plains. Shimla offers the picturesque set of its treasured natural gifts to its tourists, such as, pine clad hills, beautiful valleys and waterfalls. 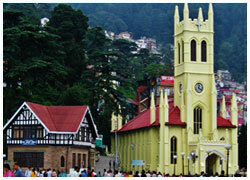 Shimla has its own colonial charm too. Even today the hill station continues to be patronized by Incredible Himachal Holidays from within and outside the country who come here to escape the torrid heat of the plains and revel in its scenic surroundings. Some of the most notable attractions here include Viceroy Lodge, Christ Church, Gaiety Theater and century-old temples such as the Sankat Mochan Temple, Tara Devi Temple and Bhimkali Temple on the outskirts of Shimla. Shimla, one of the finest hill stations for holidays in North India as well as round the year destination for holidays in Himachal Pradesh. Be it a promenade down the Mall Road that still exudes the colonial charm of British Raj or be it the excursions to the nearby hills, rolling valleys, and destinations such as Naldehra, Mashobra or Tattapani, all in all Shimla is an ideal destination to go for summer vacation with family in Himachal Pradesh. 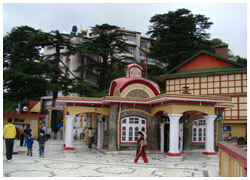 Our local and expert tour guides make you familiar with the all the tourist hot spots of Shimla. So basically, from the Toy Train Ride, to a visit to the Mall Road, our Shimla Hill Station Package covers everything. Along with the beauty of Shimla, we let you explore some very popular nearby attractions like Kufri, Manali, Dharamshala and Dalhousie. Feather in the hat is that you get all this and much more at pocket-friendly prices. Thus, if you are looking for the best travel deals to Shimla, Incredible Himachal Holidays can be a big help. 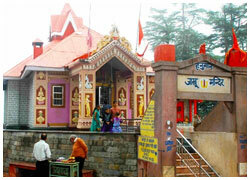 Our Shimla tour packages thus bring forth an ideal charm and a perfect break from hazardous life. 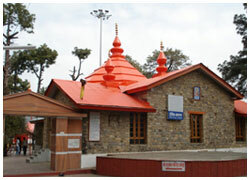 The packages not only include the popular attractions in Shimla but also take you to the unique Himachal culture. Kufri from Shimla, is one of the thrilling destinations. It is one of the popular skiing destinations. Moreover Kufri also bring forth many short treks for the adventure freaks. 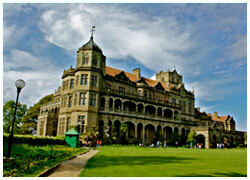 Our Shimla holiday packages also allow you to explore the highland of Kufri. Horse riding is one of the most popular tourist activities in Kufri. 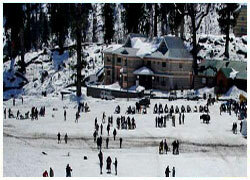 Nonetheless the Shimla tour packages also bring you closer to the local culture of the Himachalis. The Lakkar Bazaar, adjoining the ridge, is arrayed with handcrafted wooden items and traditional garments… and is an absolute shoppers’ paradise, you have choice aplenty when it comes to book your trip to Shimla or nearby tourist destinations in Himachal. (1) Being located in Shimla Shoghi and having our hotel here and tie-ups with other resort and cottages around Himachal Pradesh which we have visited personally, we are in a better position to provide you best travel plans and customized tour packages in Himachal Pradesh. (2) We have been organizing customized tours in Himachal Pradesh, and we are duly registered with Tourism Department, government of Himachal Pradesh. (3) We have traveled Himachal extensively and with our experience we can provide the most suitable and economical travel package to you along with covering the maximum tourist spots. (4) For tours which originate from Chandigarh / Kalka / Shimla / Manali we provide taxis having Himachal Pradesh taxi registration numbers, are driven by local people who have excellent driving skills in hill terrain, behave in a professional manner and know the destination, history and culture inside and out. (5) We provide complete travel solutions from eternity suggestions, airline / train bookings, taxi arrangements and all type of hotel / resort bookings.